There's plenty of things to do in Sydney and with our experiences you'll get to see it all. 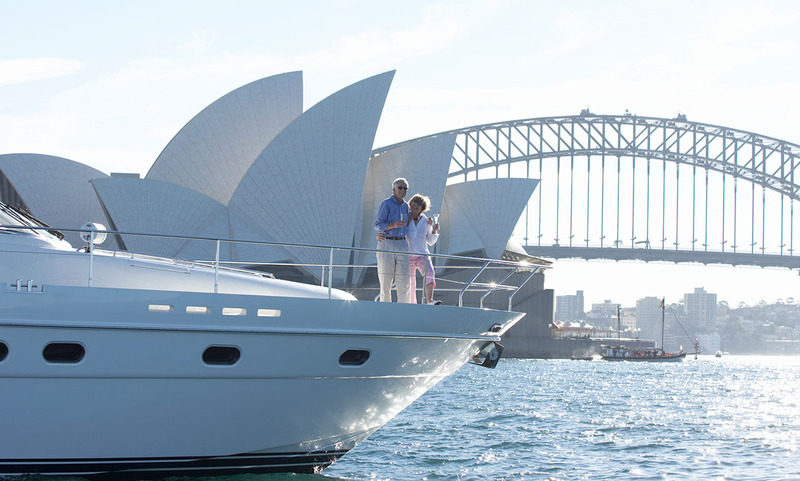 Quintessentially Sydney, these experiences not only take place in the iconic harbour city, they help you get a sense of the famous Sydney lifestyle. Get a taste for the awesome food scene with the fine dining restaurant or harbourside breakfast. Travel across the iconic Sydney Harbour and visit our famous Taronga Zoo or see Sydney surrounds from breathtaking views with a skydive over the beach. There are plenty of ways to explore the vibrant and cosmopolitan capital city of Sydney perfect for visitors and even locals! Better yet with our instant book you'll find things to do in Sydney today! If you’ve been living here almost all your life and still can’t think of things to do in Sydney you’re not alone. The funny thing is, when friends from out of town ask us locals what to do in Sydney we’re simply full of great, creative ideas and can easily list all the wonderful Sydney attractions to explore. But when it comes to entertaining ourselves or taking our own kids out on the town, all of a sudden, ideas and places to visit in Sydney become much of a blur. Whether you’re a local or visitor, looking for things to do in Sydney with kids can sometimes seem like an impossible task without spending a bunch of money. But there are so many exciting Sydney activities that you can do for free or on a budget, especially great when there are other fun activities you plan on doing that will cost a bit more. Think about some of the wonderful coastal walks, or taking a bus, ferry or train to the harbour - make sure you leave the tech at home! Instead, pack everyone a sketchbook so that you each create your own souvenirs for family and friends. Why not collect leaves, feathers, twigs, flowers or pebbles and pop them in a special time capsule at home to remind you of the special time you had together? On a budget? We have inexpensive experiences starting from $20 and low price kids activities from $25. But if you really want to make a day of it, treat the family and see Sydney from new heights on top of the coat hanger with a RedBalloon bridge climb. This experience is certainly one to write home about, with children as young as eight able to climb with a paying adult. Not only will it be ultra exhilarating seeing everything from way up high, it’s one of the most spectacular vantage points of this sunny city and sure to build on those special memories. These are just some of the fun things to do in Sydney - but make sure the kids bring their piggy bank for that delicious afternoon ice cream. Treats around classic Sydney tourist attractions are likely cost a pretty dollar, unless mum or dad is paying of course! But with this incredible backdrop? It’ll be worth every bit of it. So what to do in Sydney... bridge climb? Tick. Mouth-watering, hand-made ice cream in hand? Tick. Sensible footwear on feet? Double tick. Now it’s time to take the kids for a casual walk to marvel at some of the beautiful relics at The Rocks. Some of the best things to do in Sydney are taken for granted, especially when it comes to free kids activities Sydney, but there’s something really wonderful about weaving around the historic buildings and tip-toeing on the cobblestone lanes. Take your time to read the plaques on historical buildings while admiring the sculptures and old fixtures of a world that once was. If this is your first time in Sydney you may be interested to know that some of the most enchanting things to do in Sydney at night are right before your eyes. The sun has well and truly sunk into the world famous Sydney Harbour only to reveal the beautifully structured Harbour Bridge and Opera House under a moonlit sky. You could easily say that this is Sydney sightseeing at it’s very best. Just imagine marvelling at the iconic harbour bridge and her neighbouring epochal sister’s stunning sails. Witnessing this incredible backdrop at night is a must do in Sydney especially while sipping refreshing Australian sparkling wine and dining on fresh Australian seafood. If the kids aren’t already asleep on your laps, they’ll absolutely love the delicious fish and chips from the kids menu at one of Sydney’s finest restaurants curtailing Sydney’s spectacular harbour. It really doesn’t get better than that. Remember: make sure you have your camera handy to capture the entire, fabulous day. You wouldn’t want to miss a thing.